The burp cloth is made from a 6-ply name brand cloth diaper and measures 13" x 19". It has a hot pink flannel with black zebra stripes sewn down the middle. 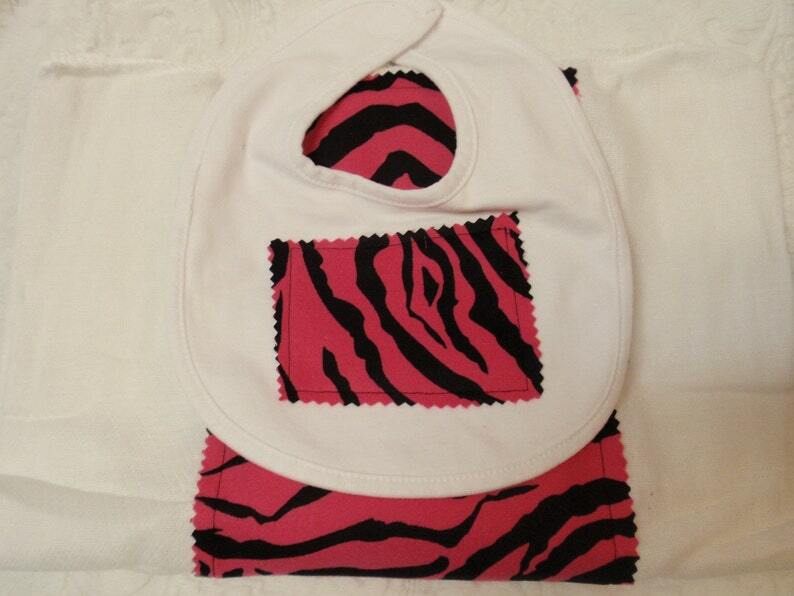 This zebra fabric is very soft and your baby will love to cuddle and snuggle with it!